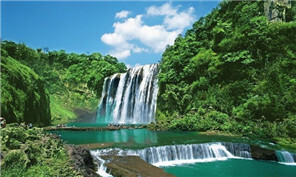 Guizhou has been focusing on the construction of public transport infrastructure since early 2009. Song Shuixian, a horsetail embroidery artist from Sandu Shui autonomous county, southwest China's Guizhou province, is one of the 72 deputies from the province who will be at the big meeting. Yang Changqin, one of the 72 deputies of southwest China's Guizhou province, gave an interview at the “deputies' passage” in Beijing on March 5.